This is not Human it is Esoteric! Please remember that The Continuation Healing modality is not human. It is an esoteric energy modality that works with your energy body and the Universal energy that is around us all the time waiting to be utilised. There are plenty of scientific studies and books that have been written on this now. If you allow your head to get in the way you will not receive the experience of knowing during our demonstration presentation or at any other time. We are energy beings having a human experience. Although the human experience is of great value, this is not all we are . If we focus only on the human attributes then we will miss the gift! The gift is knowing who we are at a greater, deeper more fulfilling expanded ‘knowing’. It touches every part of our inner selves and our outward understanding of our lives. To place this in English wording is challenging for me, our languaging can not truly convey the experience. We ask that you feel and experience for yourself that which you sense through your wider ‘spiritual’ self, your intuitive self. Ok? If you are interested in this modality then why are you interested? Why are you here? What is it you want for yourself? This modality was brought through to us by Platorans a Cosmic being from the Pleiades channelled by Lou James our Channel. The Pleiadians helped seed our DNA. If this is too much for your head at this time put it on pause and read on with your intuition..OK? If you get weirded out with channelled communications ask yourself why? Humans have been channelling divine(and not so divine energies)since the beginning of ’time’. Is it the not so divine encounters that have stirred up fear and mistrust in you? Its true, there are those out there who are not in balance but they are bringing through communications from non human entities. Then there are those who prattle on about love and joy yet the message is tinged with fluffiness and nothing that really helps you to go forward in your growth. This is where it is up to you to sit within your own balance and discern what ‘feels’ correct for you at this time. The word ‘activation’ is such that it attracts the human mind into thinking that something needs to be done. What, exactly, is the unknown factor? There is a sense that there is something missing however it is up to the human to discover what that is. What is it? Why is it being spoken of in different places and meaning different things; from small activations of the vibrations to higher activations of gateways and into dimensional ways of being. All of these are started by an activation, which has been given to a human to ensure that others hear of this particular way of being. A New Pleiadian Activation for all of humanity. 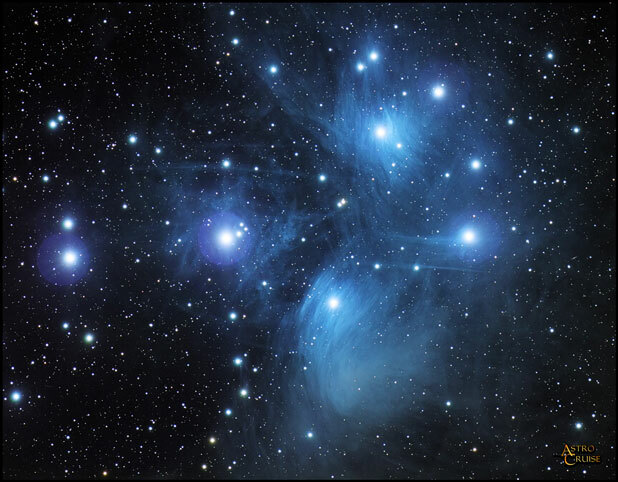 Often we, the Pleiadians have been accounted as the ones that have brought to humanity the activation information of whatever the new phase of your growth is to be. We are not the only ones who give the humans activations – you will find that there are Arcturian activations as well as those that relate to other cosmic beings. This can be covered in a separate gathering so as not to distract from this discussion. Understand that ‘The Continuation’ will resonate with all who are seeking that which is for their Highest Good. For this is a key that you gift yourself, to access many lifetimes of knowledge and abilities. It enables you to realise that you are the Healer of Self and that there is no need for others to be the healer of you. Yes there is power and magnitude of energy in the co-joining of energies to enable your desires. Though ultimately you are the designer of whether or not your healing is accessed. Having travelled around the Cosmos with this modality I have noticed that all begin to conceive that this must be a ‘trick’, something to ‘hook in’ a less than discerning being. I would not address you as one of the Council of Pleiades if this were a charlatan’s trick. I offer you the chance to realise your potential through belief in Self and in the Universal Energy that works with you. Are you able to step into the triangulation of the energy and see and feel the cords of energy as they connect with you? There are many different humans upon your planet that have been given information over the years from the Pleiades to assist you. Some have had steps – 36 steps or 9 but they have been there to assist you to reach the place that you are now. I hear you say ‘but I have not had these lessons or taken part in this journey so what now?’ I assure you that you have been part of them, for if as little as 2% take the information and achieve it, releasing it into their own energy this in turn alters and reflects outward to humanity which corrects and re balances that which was undone,(out of balance). This achievement and accessing of information will assists those, who were not aware at the time, to achieve what needs to be done within their own energy. There is so much more that I can share on this subject but this is an introduction, a meeting of minds and hearts, yes? So then I invite you to visit with the humans that have worked with The Continuation and utilised its energy and potential for themselves. Speak with them and then come to see for yourself the demonstration that I and those I train will do to educate and assist those who wish to ‘see’ what The Continuation is. ‘The Continuation’ is exactly what it states. It allows the continuation of all that has been started in your energy field. Are you interested in Receiving ‘The Continuation’ for your own Highest Good intent? Or over a Skype Webcam session.